Fielding and Carla Cage have an urgency to Awaken and Activate the body of Christ into who they are and what they can do as an unlimited child of God. They boldly teach believers to live in God’s fullness and presence, to do extreme miracles everywhere, to rule & reign as kings, taking back dominion on earth, because all creation is waiting for us to imitate our Daddy and display his Love, Power and Glory. In the past 2 years, they have focused solely on activating and training believers, groups and churches to get out of the church and healing the sick on the streets and saw over 3,000 confirmed healings by those just trained in simple miracle evangelism. They also take 1 to 2 month missions trips 3 to 4 times a year. They live in South Boston, Va in a 600 square foot house while living a life of sacrifice for the benefit of the lost, poor, unloved and forgotten people. Their expenses are low and they have no debt so what is given goes to ministry not overhead and they can give freely to those in need. 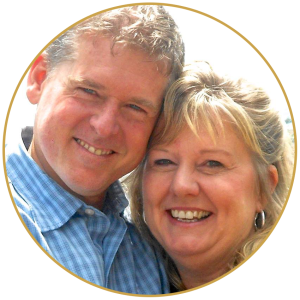 Fielding and Carla became ordained ministers with Faith Landmarks Ministries after graduating Bible School in 1994. They have since been through 3 more Bible Training Centers and have become teachers in Bible Schools around the world. They have been ministering since 1989, pastored for 10 years from 1994 to 2004 until called to focus on more Nations. They have ministered in over 22 countries including Russia, India, China, Philippines, Turkey, Mexico, Guatemala, Honduras, Haiti, Peru, Jamaica, Kenya, Zambia, South Africa, Thailand, Colombia, Brazil, Japan and others. 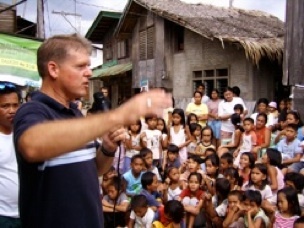 In the Philippines, they started and built 4 churches and a Children’s Home. They lead missions teams and train them to minister, preach and heal the sick in crusades, streets, schools, hospitals and wherever they go. It’s so much fun as rivers of life flow with compassion in action. 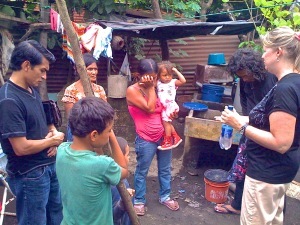 Disciple – Establish and partner with long term works in Churches, Bible Schools and Children’s Homes. On missions trips, Fielding & Carla reach out to those left out living in smaller villages where people cannot travel to cities where most missionaries go. The churches they have started have been mostly in areas where there were no churches around. Their heart is reaching those no body else is reaching, it is hard, uncomfortable, dirty & often dangerous. But what else is there that brings real happiness in life, but giving happiness, blessing & the love of God to someone without. Sure beats the “American way” of living to get more stuff! It really is more blessed to give than receive. You are so Valuable, Loved & Appreciated!